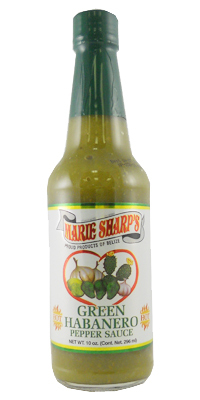 Home/Hot Sauces/Marie Sharp's Green Habanero Hot Sauce with Prickly Pear 10 fl.oz. 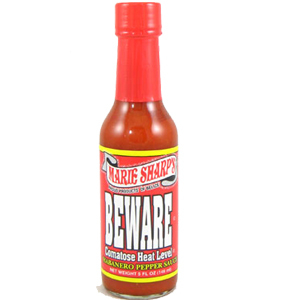 just got back from Belize and knew I had to get some of Marie's hot sauce for my collection. Really a wonderful flavor , not killer hot, but just right. Love both the red and green. If yoiu can't go to Belize , this is aboiut as good as it gets. Try it with rice and beans cooked in coconut water! ....excellent! I can not live without this!!!! Fantastic quality! I first tried this when our neighbors came back from Belize. The cactus adds a citrus quality. Stands out against other brands that use Tomatillos. If you haven't tried this, I would suggest ordering the small bottles and try the variety of flavors. 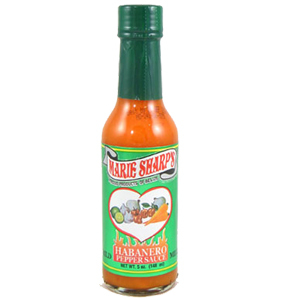 I'm currently addicted to the green Habanero sauce. Not especially hot , but fantastic flavor! This is a great hot sauce to add to litterally everything. It has heat but great flavor also. Tried this sauce when we were in Belize and loved it! So happy to have found it here. It was delivered promptly and was wonderfully packaged. My daughter is the green habanero addict in our house. We go through a case every two weeks when she is home. It has a great taste. Prickly Pear Mmmm Mmmm Good! Bought several bottles after a trip to Belize. My Mother could not get enough! And she is a tough critic.